Replacing lost estrogen through hormone therapy can provide a strong defense against osteoporosis in postmenopausal women. 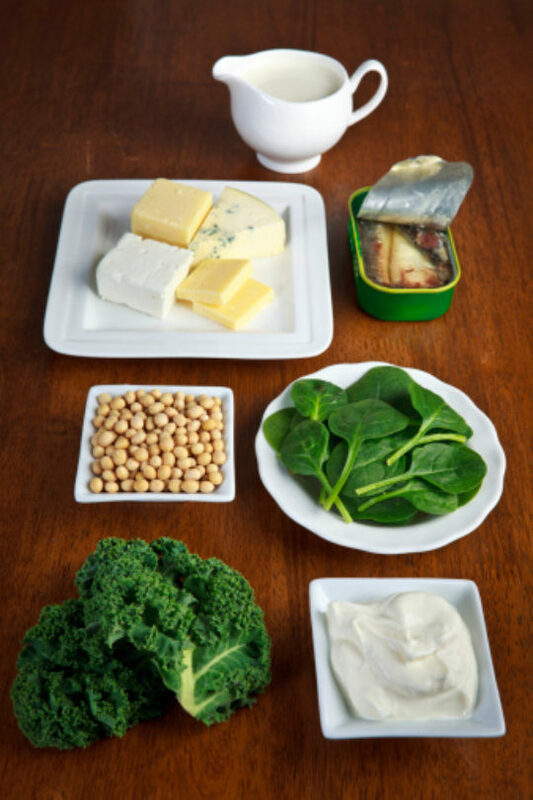 When taking calcium supplements, remember that the body can only absorb 500 mg of calcium at a time. Because of this, you should take your calcium supplements in divided doses, since anything more than 500 mg will not be absorbed. Vitamin D is also important because it enables the body to absorb calcium. The recommended daily allowance of vitamin D is 1,000 to 2,000 I.U. (international units) in the form of vitamin D3. Vitamin D can also be obtained by getting 5 to 15 minutes of sunlight a few times a week or by consuming fortified milk.